I love to entertain. Well, really I just love to feed people, but that’s considered entertainment, right? I also love to make a pretty plate. I’m not nearly as fancy as those seen on Top Chef, but I take pride in my food. My might-as-well-be-mother-in-law got me such a great gift for my birthday. In fact, she’s just a good gift giver, always picking out things I normally wouldn’t buy for myself but I secretly love. One Christmas, she got me these great plates from Pier 1 Imports that were different colors and each had a different iconic destination spot on them–Rome, Paris, London, etc. I couldn’t find them on the store’s website, probably because they don’t make them anymore. And I would post my own lovely picture of these epic plates, but they’re hiding away in storage, probably just as bitter as I am that they’re not getting any use. 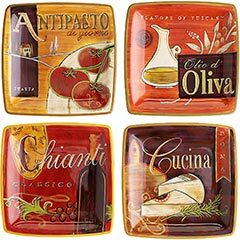 Here some other cool plates from Pier 1 that my hands are itching to grab and use. In the words of Rachel Zoe, “I die!” How amazing is this? Would’ve been perfect for Oscar night with another couple, right? It comes with four small square dishes for things like nuts or sliced meats, or even truffles. 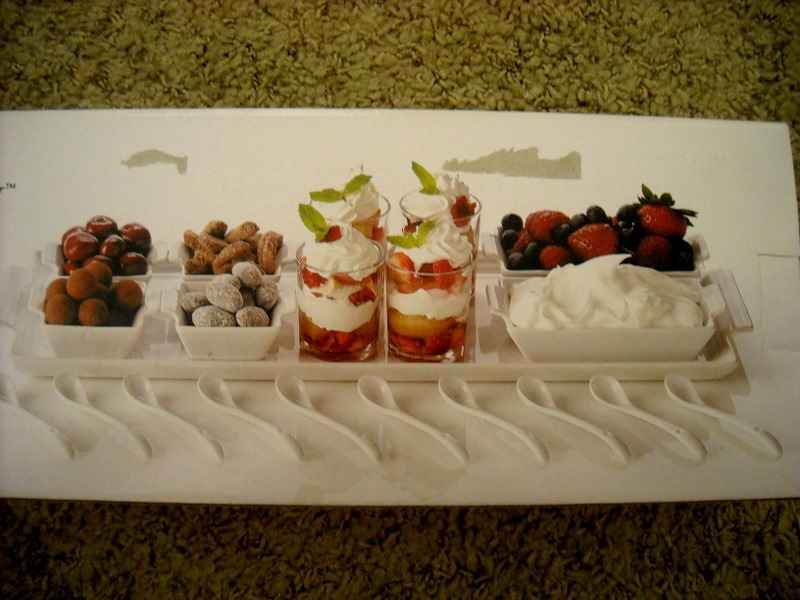 Four mini shot glasses for parfaits or mousses, two rectangular dishes for things like berries and whipped cream, or dips and breadsticks, a long tray to set them all on or to play host for fish, and 10 sampling spoons. I’m in entertaining heaven! And Pier 1 has tons of different food ideas, along with recipes, to utilize all of the tasting party-ware. There’s a lot more they offer, as this is just a starter set. But I can’t wait to break it in. I know I’m definitely going to do chocolate mousse, because chocolate makes me go weak in the knees. 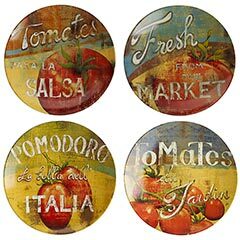 I’d love to do a sort of caprese salad with cherry tomatoes inside one of the rectangular dishes. What would you guys put in some of these dishes? Anyone else here love entertaining? Here are some other fun entertaining items found at Pier 1. Are you allowed to register if you’re not getting married….? i HAD to do it, i’m soorie.